This product adopts digital integrated circuit reference number, wireless emission and receiving technology. It possesses no repetitive password, stable performance, long distance, good appearance, long use life, convenient carriage and installation. 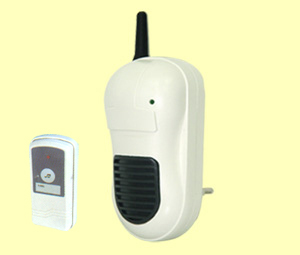 It can be used as doorbell, it also help the inconvenient person to appeal (in effective range).